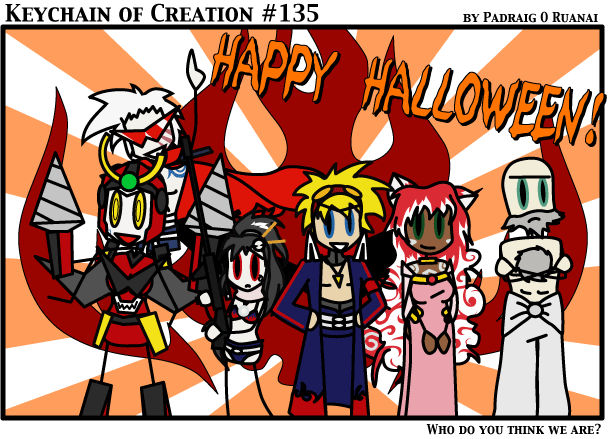 C'mon, I did halloween costume filler last year, and this time halloween coincides directly with the update. What did you expect? Of course, making new looks for everyone is about as much work as making a new comic, so, I don't know how that reflects on me. Still, it is fun to play around sometimes.